Add a layer to your gameday look with this Milwaukee Brewers Navy Blue Golf Light Weight Jacket! 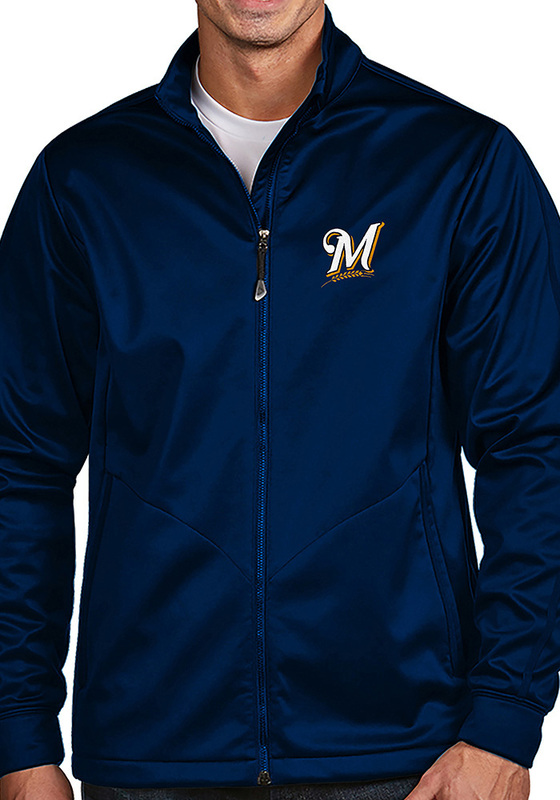 Stay warm in cooler weather as you cheer on the Brewers in this great Light Weight Jacket. With a 100% polyester interlock face with bonded brushed back, water resistant long sleeve full zip jacket with dyed to match taping detail at collar,shoulder, sleeve, and hand pocket flap. Zip hand pockets and open cuff and bottom hem. Embossed logo at back neck., you'll be the most comfortable and stylish fan at the game.